Videogames are an emerging art form- becoming more like interactive movies than cheap games, fashion is becoming an increasingly important part of gaming. With that in mind, here are my top 10 fashionable video games. 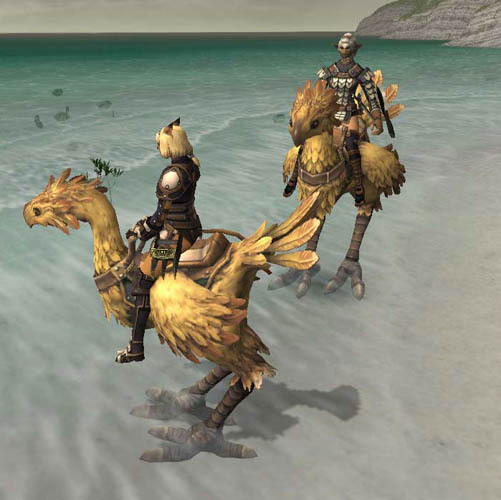 The Game: Final Fantasy XI was a game created by SquareEnix back in 2002. 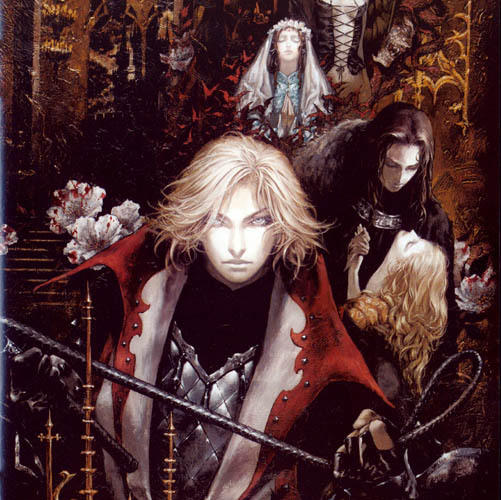 The game, which is the company's first MMORPG, was (supposedly) the first MMORPG to truly mix the Japanese and American gaming communities into one. Of course, this sounds good on paper- the game, to date, tkaes over one day to install (thanks to a huge array of updates) and I personally cannot stand more than ten minutes over it before I delete the whole damn thing. The Fashion: Horrible grindfest be damned, Final Fantasy XI is an aesthetically pleasing masterpiece. Starting with some post-Medieval armor styles (specifically some French inspiration, very The Count of Monte Cristo) and expounds upon it with bright color and interesting ideas. Armor isn't just armor in FFXI- it's interesting and unique, if not sometimes a little ridiculous. Hate to be a nerd and point this out, but RE4 was never released on the Xbox. Well, that’s just like your opinion, man. But seriously, the newest games are just as good as previous entries. To the above- fixed. I remember it being announced, but I forgot it never came through. Strange stuff. Ah, Judgment, you’re right. It’s mediocrity slipped my mind. Yeah, Leon is way cool. I base my entire dress sense on guys like him. The characters in the Silent Hill series sport some interesting fashions IMO. Though this comes rather late and I’m too “discomposed” right now to check my spelling: I will not accept any comparison with Kojima and Emo fashion! It’s absolutely ridiculous to give an art style that is over 20 years old a label of a post-2000 fashion trend. What’s your argument here? Emo is (unwillingly) assimilating every subculture that has to do with rock music and/or spikey hair. Gothic, punk, rockabilly as well as j-rock, Japanese pop-culture in general etc., I guess even metal fans and medieval re-enactors are seen as emo by “outsiders” today (I made a little test with a 12-year-old. She knew nothing beside emo. Even heavy leather boots were emo for her. So I guess sub-cultural diversity is a thing of the past). Modern society has an urge to commercialise everything until it’s dead. (- I blame it aaaall on the internet ;)). Don’t get me wrong. I have no problems to socialise with Emos. I’m sure they’re annoyed about this development themselves. Emo was just very easy to be commercialised and made into a mainstream trend. Even easier than gothic and punk. Because of its high adaptability to existing fashions the reasons are obvious, I think. I can accept emo as a culture, but I can’t – in no way – stand it any longer to be confronted – almost every single day – with comments, reviews, reports etc. that bluntly ignore every long established movement and pack it all together as emo for reasons of simplification. Or do you really believe that Kojima has a tendency to draw Emo-boys? Unfortunately right in the middle of my deviantart-address. As a great Kojima-fan I don’t want anyone to miss MY Emo-boys, so, it’s corrected.